The Dakota is also new from Flintshire furniture for 2017 and offer a Hi sleeper single bed that sits above a fixed desk & single wardrobe , whilst the box steps that lead you to the bed are in fact cupboards with doors. 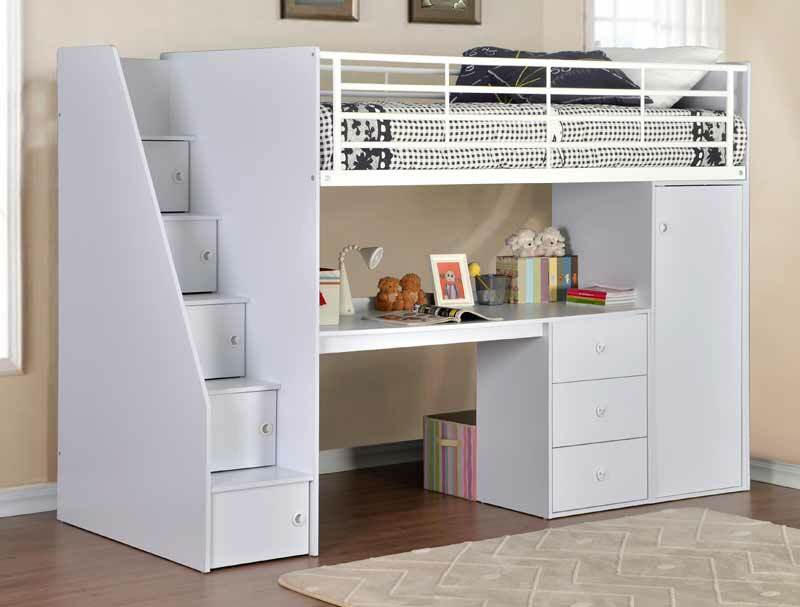 The Dakota like its sister product the Frankie cabin bed are made from Mdf particle board and are covered in a white foil wrap. This bed is supplied from uk stock direct from flintshire furniture in 4 boxes for self home assembly , delivery is free to most areas normally 3-7 working days , however some areas there will be a delivery charge please see delivery info page. We have added the option of a 15cm deep Relaxsan standard foam mattress called Moon mattress it is available in soft or firm at £99.